Though it’s name is a bit of a mouthful, this is a relatively simple molecular compound. It is made up of six carbon atoms and four nitrogen atoms which bond together to form a little cluster. The structure of hexamethylenetetramine is significant to crystallography. It was determined in 1923 and was arguably the first molecular structure to be found. It was chosen for the investigation beacuse it was known to form a cubic crystal structure, one of very few molecular materials to do so. Materials with cubic symmetry are more straight forward to solve, as there’s less parameters to find. 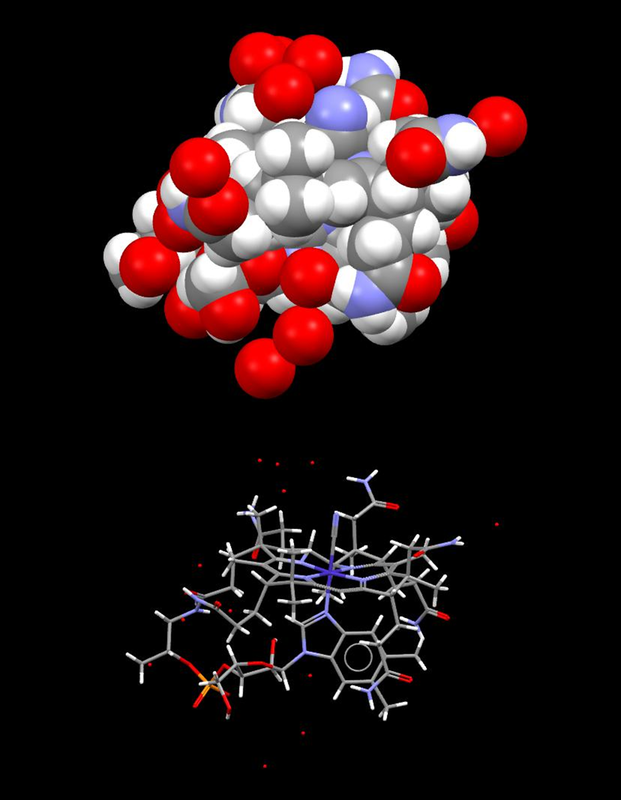 This work really proved that molecules would arrange into crystals, and paved the way for Kathleen Lonsdale’s work on benzene ring. This, in turn, lead to the field of molecular crystallography which is still very active today. This structure comes from the 1923 Journal of the American Chemical Society paper by Dickinson and Raymond. There’s no crystallographic information file for this one in the Crystallographic Open Database, so the coordinates were taken from the paper itself. 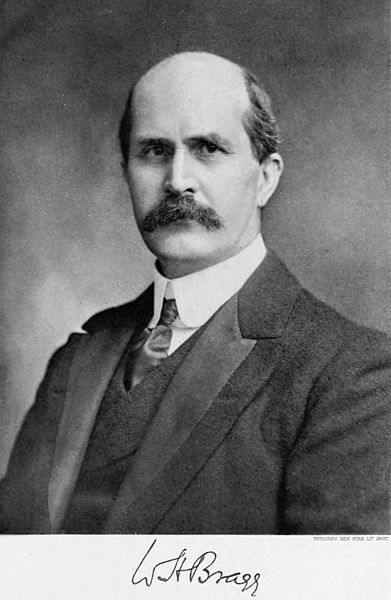 Today would have been the 152nd birthday of one of the founders of crystallography, William Henry Bragg. Together with his son WL Bragg, he won the 1915 Nobel Prize in physics. 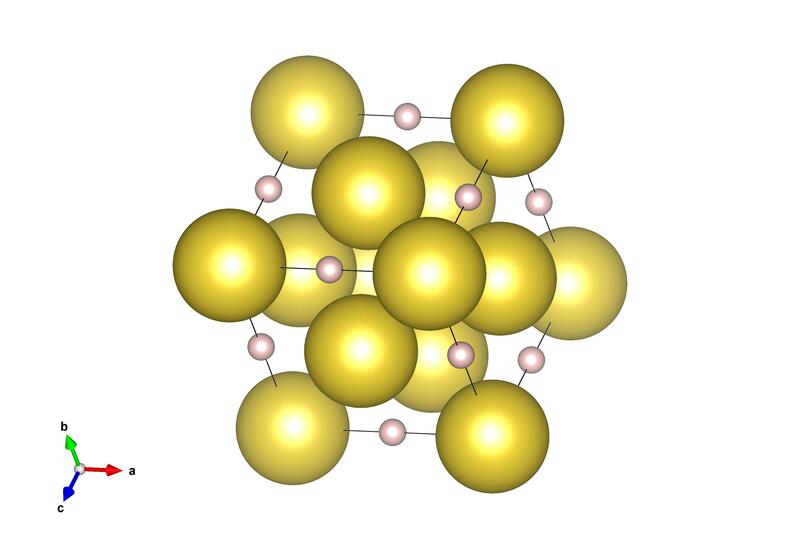 Between this work and the work of the previous year’s Nobel Prize won by Max von Laue, these researchers put down the rules for us to discover how atoms are arranged in solids. After finishing his PhD with J.J. Thomson (the man who discovered the electron) W.H. Bragg journeyed to Australia, where at the age of 23 he became a professor of physics at Adelaide University. Here he also married Gwendoline Todd the daughter of Charles and Alice Todd (who Alice Springs is named after), and their first son William Lawrence was born. The family moved to the UK in 1909, W.H. Bragg to take up a position at the university of Leeds, and W.L. Bragg to continue his university studies at Cambridge. It was during this time that the both worked on the equation that was to bear there name, and the research that would earn them a Noble Prize. 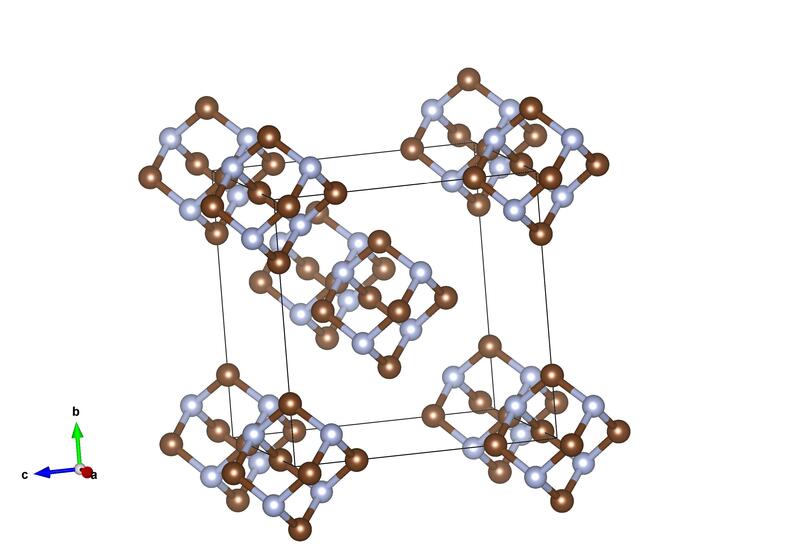 We’ve already covered the mineral, Braggite, named after WH and WL Bragg – then instead today we thought we’d cover one of the first crystal structures they worked out, Fluorite. So far this year we come across many ways to represent crystal structures. This may be the most original yet! Calcium Floruride, CaF2 or Flourite, is a colourful mineral that is found all over the world. It comes in a large range of colours, from green through to dark purple, all dependent on the small amount of element impurities contained within it. Given the right impurities, it will also fluorescence under UV light – the name of this property actually takes its name from fluorite. In working out the structure of fluorite, the Bragg’s noted the similarity of its diffraction to that of diamond. 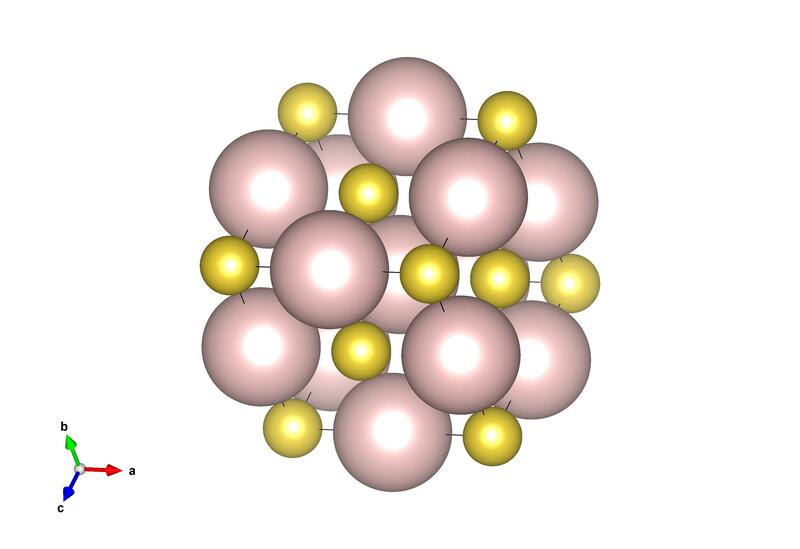 From this they could work out that the atoms would be similarly arranged but with gaps as there isn’t a 1 to 1 ratio of fluorine atoms to calcium atoms. Like the rock salt structure, you can read about how this structure was discovered straight from the book ‘X-rays and crystal structure’ by W.H. and W.L. Bragg. Benzene is the simplest aromatic hydrocarbon and also quite the crystallographic puzzle for many years. Though it had been known for a long time that benzene was made up of a ring of carbon atoms, in the early years of the crystallography one question that was sought by a number of researchers was to determine the shape of the ring of benzene. There was a lot of debate, for instance WL Bragg (one of the founders of the field of crystallography) thought the molecule itself was bent. The work of Cox in 1932 that showed that the molecule within solid benzene was not bent and in fact a flat ring. However, it was Kathleen Lonsdale who had paved the way for the understanding of the shape of the benzene molecule, with her structure of hexamethylbenzene in 1929. Together this work paved the way for the wide field of molecular crystallography that has many impacts on our way of life. Cox first published the structure of benzene in the Proceedings of the Royal Society A in 1932, but refined his structure with a number of other investigations at different temperatures. Vitamin B12 is chemically the most complex vitamin with a group of closely related substances functioning in the organism to provide the necessary source of cobalamin to vital enzymatic pathways of the metabolism. The recommended dietary intake in humans varies but is in the range of 1-3 micrograms (millionths of a gram) per day. Vitamin B12 deficiency can result either from an inadequate dietary intake, or from conditions in which the ability to absorb the nutrient is diminished. Biosynthesis of vitamin B12 only occurs in bacteria and archaea and passes into the food chain via due to bacterial symbiosis. The common features of the Vitamin B12 group of compounds are (i) the corrin ring (similar to the porphyrin http://en.wikipedia.org/wiki/Porphyrin ring which binds to the metals present in haem, chlorophyll and cytochrome) which has (ii) a cobalt atom bound in its centre. (iii) One of the carbon atoms on the “outside” of the corrin ring carries to a long chain of atoms ending in a dimethylbenzimidazole group which joins on to the cobalt through one of its nitrogen atoms on one side of the corrin ring and on the other side of the corrin, a sixth substituent bonds to the cobalt atom – this is the site of the biological reactivity of Vitamin B12 and can be occupied by hydroxyl (-OH), methyl (-CH3), cyano (-CN) or 5’-deoxyadenosyl (via its C5’ atom). All of these compounds form crystals which are deep red in colour. The complete structure of vitamin B12 was determined by Dorothy Hodgkin and her collaborators by means of X-ray crystallographic methods. 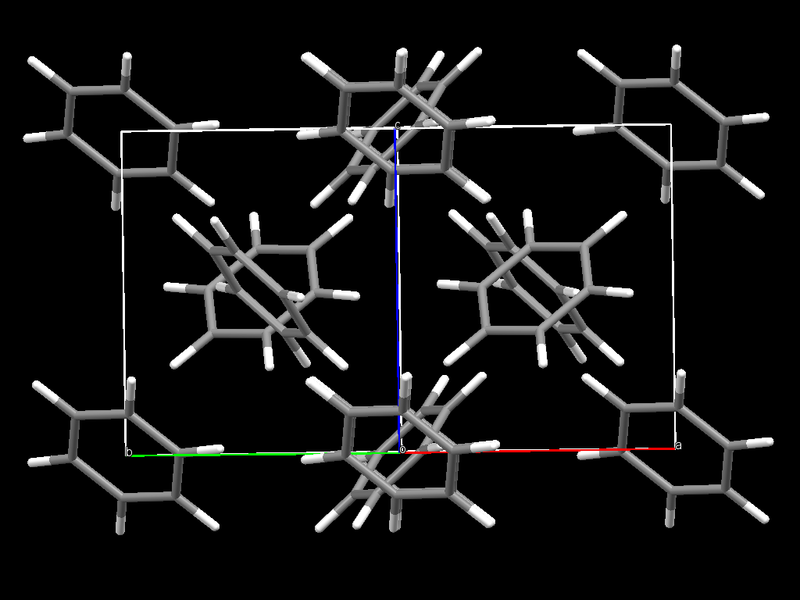 Using structures from fragments and combining knowledge of the chemistry and with access to early computer based fourier methods, the structure was fully revealed. It is interesting to note the sharing of information which went on between the crystallographic groups and the chemists who were engaged in studying the structure. The documents demonstrate that the two different approaches were to be published simultaneously and Dorothy maintained an inclusive and generous approach to publication of this important structure. 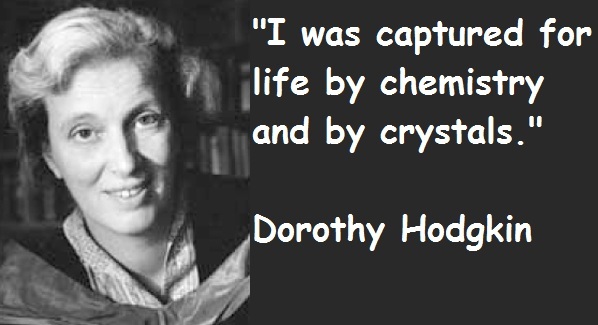 Dorothy learned that Alexander Todd (Nobel Prize for Chemistry 1957) had agreed to present a talk about “some new nitrogen-containing compounds” at a meeting of the Chemical Society which he had not mentioned to Dorothy when he was in Oxford a day or two prior to this for the purpose of discussing the publication of the structure. When Dorothy got wind of this talk, she attended and finding that he was announcing the structure, at the end of the talk Dorothy stood up and explained how it had been done. After this occurrence, Dorothy insisted that members of her crystallographic group went wherever Todd was speaking so that they could give a comment at the end. Can we understand the structure of a liquid? Dr Alison Edwards’ celebrates one of the pioneers of X-ray crystallography and how he thought about the structure of the most fundamental of liquids, water. J.D. 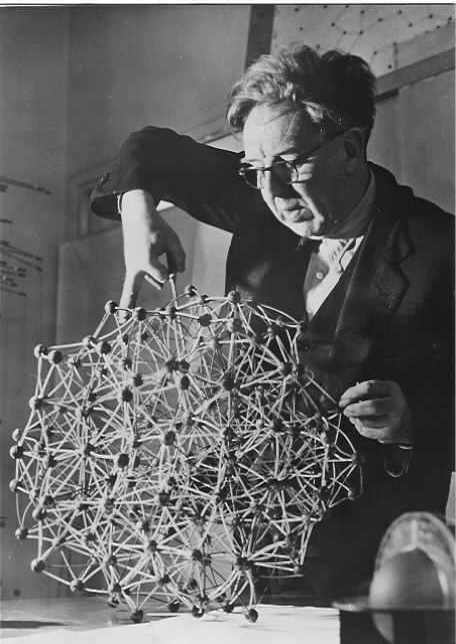 Bernal is shown building a model of a liquid, in which randomness was introduced by using a number of different sized connecting rods to separate the spheres which depict the atoms. This work stemmed from Bernal’s insight that further work was required was due to his conviction that the proposed 1933 model was “too crystalline”. What is it and where did the structure come from? The structure of water was determined by the application of Bernal’s crystallographic understandings to a liquid system. This occurred in two bouts: the seminal work in 1933 with R.H. Fowler: A Theory of Water and Ionic Solution with Particular Reference to Hydrogen and Hydroxyl Ions, appears in the First volume of The Journal of Chemical Physics (p. 515-548). It has citations numbering in the thousands and was highly influential in the formation of the thinking about the role played by water in biological systems. Later work in the sixties refined and improved the fit of his more randomised proposed model to available data. An excellent account of the original and later work can be accessed here. On the 113th anniversary of the birth of J.D. Bernal, we should celebrate the application of careful thought to the solution of interesting problems! In a science where “big data” is now a dominant feature it is instructive to remember that very significant insights into matter can be achieved by thinking clearly about the limited data which were available.